Exhibition Staff Prague. 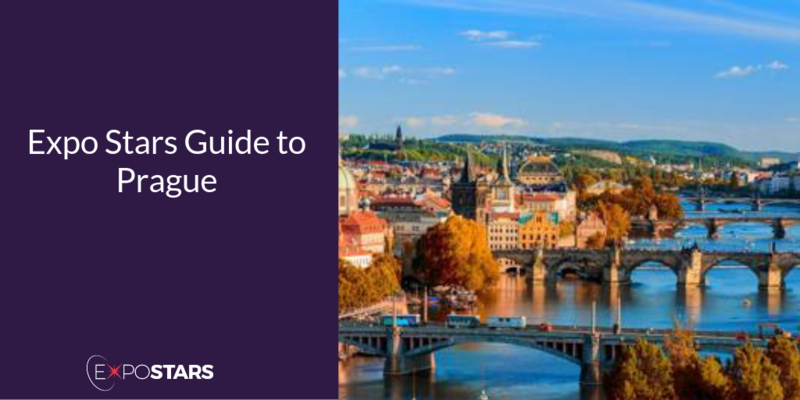 Read Our Prague Exhibiting Guide. Prague, the city of one hundred spires, is the capital of Czech Republic and is considered a highly attractive place to do business, thanks to its strategic location in the centre of Europe. It has a well-developed infrastructure and well-educated, but relatively cheap, workforce. Prague plays host to major international companies such as Hewlett Packard, McKinsey & Co., Allen Overy and Boeing, so you’ll be in esteemed company. Not only does Prague have an enviable geographic location in Europe, but since the fall of communism in 1989, the Czech Republic has become a haven for tech and service workers, producing over 150,000 technology engineers, countless business, economics and finance professionals. Once you’ve landed at Prague Airport, you can make your way into the city using either the metro (gets you there in 17 minutes) or a taxi. There are no unusual restrictions in place on what you can bring into Prague. PVA EXPO PRAHA - PVA EXPO PRAGUE is the largest and most modern exhibition complex in Prague. The multifunctional area is set up to be used as a venue for trade fairs, exhibitions and conferences. Prague’s 1,100-year-old skyline is dotted with splendid views of lovely domed churches and soaring old towers that all contribute towards making Prague one of Europe's architectural gems. Explore Prague's narrow laneways which all open up onto spectacular squares, and discover fine old homes and historical buildings. Visit Prague Castle - once home to Bohemia's kings, it is today the official residence of the Czech Republic's President. Charles Bridge - easily one of the most recognizable old bridges in Europe. Divinis - Feast on roe deer saddle with mushroom ragout, served up with a glass of Pinot Grigio from Trentino. V KolkovnÄ› - Try pork knee, tender ribs, beef goulash with fluffy dumplings or the ultimate Bohemian classic: roast duck with sauerkraut. Language is Czech, but thanks to the rise in tourism, most people speak English. Plug sockets are the European two pin type. Initial business meetings are formal affairs and business cards should be exchanged. Czechs are polite and non-confrontational and sometimes what may appear as hesitancy is a form of politeness or an indirect way of saying no. Turning up stupidly early for a meeting is considered a major faux-pas.